What Future Will Watson and DPLA Make for Libraries? Just as historic as Bell creating communication over wire, Marconi making it wireless, and Perotto creating the desktop computer, IBM has broken through technology to the holy grail of computing by inventing Watson – the cognitive computer. Would you rather “Ask a Librarian” with human limitations and biases with limited resources at your local library, or speak to a computer with almost infinite knowledge who will recommend resources and even tell you how confident it is that it will satisfy your question? Would you rather go to the Only Vanilla Ice Cream Store, or to Baskin & Robbins 31 Kinds? Combine the threat to libraries from “e-book and digital media retailers” that Brantley addressed with the threat from Watson toward the reference role of libraries and it is obvious that libraries MUST reinvent themselves NOW! As I wrote last February; “This is by no means the first or even a new call to action, but … time is running out for libraries to find their place in the community they serve. I for one seriously wonder what it will take for library leaders to recognize the future challenges and adopt a vision to overcome them and save the library. Traditional librarianship is a relic of the past century. Creative and innovative thinking with visionary leadership and bold action is the only approach that will save libraries” in the 21st Century. I recently reviewed the DPLA (Digital Public Library of America) to see how that is progressing, since there is an obvious match-up between the two – super smart computer that needs an extensive database to learn! They have hundreds more contributors than last time I checked, and are now at about 2.5 Million volumes, so obviously they are growing exponentially. DPLA is still frequently in the news. So, what does a merging of Watson and DPLA mean for librarians? Twenty years ago librarians thought that the proliferation of the Internet would put an end to their usefulness. Well, it did and it didn’t. In the beginning of this new century libraries experienced a decline in users, those people who actually came into the library to check out books. However, as the first decade passed, users became new types of customers. They could get digital and audio materials from their local library, and libraries started to adjust to offering more customer-centered services and became less library-centric. Libraries began reaching out to users, rather than being the stoic institution that users had to come to for unique services. Libraries’ services, at least in terms of collections, were no longer unique. I still agree with the saying that “Closing libraries in an economic crisis is like closing hospitals in an epidemic.” And, of course, “Now that we have Google, why do we need libraries?” is answered by asking “Now that we have WedMD, why do we need doctors?” Having said that, let’s consider how a marriage between Watson and DPLA affects librarians. Standard 1: Inquire, think critically, and gain knowledge. Indicator 1.1.1: Follow an inquiry-based process in seeking knowledge in curricular subjects, and make the real-world connection for using this process in own life. ·Independently and systematically use an inquiry-based process to deepen content knowledge, connect academic learning with the real world, pursue personal interests, and investigate opportunities for personal growth. Indicator 1.1.2: Use prior and background knowledge as context for new learning. ·Explore general information sources to increase familiarity with the topic or question. ·Review the initial information need to develop, clarify, revise, or refine the question. ·Compare new background information with prior knowledge to determine direction and focus of new learning. Indicator 1.1.3: Develop and refine a range of questions to frame the search for new understanding. ·Recognize that the purpose of the inquiry determines the type of questions and the type of thinking required (e.g., an historical purpose may require one to take a position and defend it). ·Explore problems or questions for which there are multiple answers or no “best” answer. ·Review the initial information need to clarify, revise, or refine the questions. Indicator 1.1.4: Find, evaluate, and select appropriate sources to answer questions. ·Identify the value of and differences among potential resources in a variety of formats. ·Use various search systems to retrieve information in a variety of formats. ·Seek and use a variety of specialized resources available from libraries, the Internet, and the community. ·Describe criteria used to make resource decisions and choices. Indicator 1.1.5: Evaluate information found in selected sources on the basis of accuracy, validity, appropriateness for needs, importance, and social and cultural context. ·Evaluate historical information for validity of interpretation, and scientific information for accuracy and reliability of data. ·Recognize the social, cultural, or other context within which the information was created and explain the impact of context on interpreting the information. ·Use consciously selected criteria to determine whether the information contradicts or verifies information from other sources. Indicator 1.1.6: Read, view, and listen for information presented in any format (e.g., textual, visual, media, digital) in order to make inferences and gather meaning. ·Restate concepts in own words and select appropriate data accurately. ·Integrate new information presented in various formats with previous information or knowledge. ·Analyze initial synthesis of findings and construct new hypotheses or generalizations if warranted. ·Challenge ideas represented and make notes of questions to pursue in additional sources. Indicator 1.1.7: Make sense of information gathered from diverse sources by identifying misconceptions, main and supporting ideas, conflicting information, and point of view or bias. ·Create a system to organize the information. ·Analyze the structure and logic of supporting arguments or methods. ·Analyze information for prejudice, deception, or manipulation. ·Investigate different viewpoints encountered and determine whether and how to incorporate or reject these viewpoints. ·Compensate for the effect of point of view and bias by seeking alternative perspectives. Indicator 1.1.8: Demonstrate mastery of technology tools for accessing information and pursuing inquiry. ·Select the most appropriate technologies to access and retrieve the needed information. ·Use various technologies to organize and manage the information selected. ·Create own electronic learning spaces by collecting and organizing links to information resources, working collaboratively, and sharing new ideas and understandings with others. Indicator 1.1.9: Collaborate with others to broaden and deepen understanding. ·Model social skills and character traits that advance a team’s ability to identify issues and problems and work together on solutions and products. ·Design and implement projects that include participation from diverse groups. Seriously, can any public librarian read this list of expectations of what the high school graduate will soon know about information literacy and NOT question their own role in the library profession? School librarians have always supported the curriculum, faculty and students, but the public librarian role is NOT so clear cut. Presuming that a high school graduate has actually become competent in all the Standards described above, how many librarians (MLS or not) can say they are MORE proficient than that? Maybe these standards should be the new standards for librarians. Public librarians have the opportunity and the challenge to become more than they ever thought they could be, or …………….. The alternative is not enticing! That was five years ago. How much progress do you imagine schools have made in the graduating classes in the past five years? Add this level of information literacy to the explosion of availability that Watson and DPLA can create and anyone in this profession MUST question what the future holds for librarians – especially reference librarians in the public library. 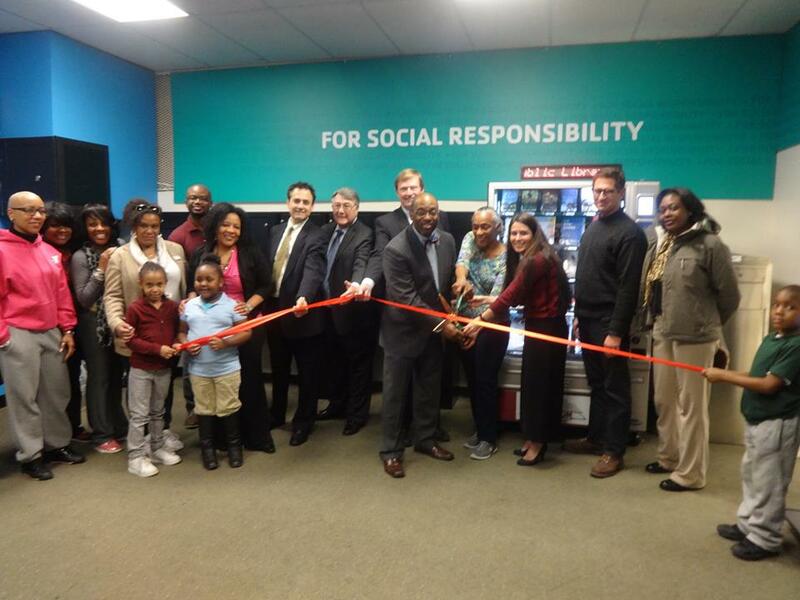 Trenton Free Public Library adds Outposts to its 21st Century Library Service Model. Over 4 years ago, having faced two and a half years of budget reductions totaling almost 50%, my Library was forced to close four of our five locations. Questions, fears, anger, hurt, and more swirled within our organization and as a barrage from the community. How had we let this happen? How would we provide service now? What about people who couldn’t get to the Main Library? This was no subtle shift- no gradual scaling down of the operation- this was a massive closure of facilities all on one day- August 16, 2010. Everyone felt the void in the fabric of the community. And frankly it was necessary to take a period of time to lick wounds, heal the hurt and grieve before anyone (staff or patron) was ready to move forward. But the beauty of all things is that the sun always rises and tomorrow is a new day. So eventually the time came when everyone was open to the discussion of “What next?” and together we walked into the 21st Century Chapter of the Trenton Free Public Library. We did not want to half-heartedly replace what we had lost or ‘make due’. We wanted something innovative that met the particular needs of our City! Our new service model needed to be economic, low impact on resources, satiate the desire of the community for services close to home, and attempt to repair the damage to the image of the library caused by the shattering of four of our five locations. To this end the library began to search for a new service model. We knew that continuing to look back at the branches we had lost was a waste of our resources and energy best spent crafting an innovated 21st-century Service Model and began instead to at the loss of our branches as a an opportunity to begin the planning process with an open canvas. This fresh perspective allowed us to build a five-year strategic plan that addresses specifically the service to the entire community on site without physical locations. Become the Hub for all community information. With this service model and idea in place, approved by the Library Board, and our City partners, we began to move forward. First up Outposts! What is an outpost you may ask yourself? You may have heard them referred to as a satellite location, an unmanned branch, a vending machine, etc. None of these names resonated within our organization or our community; therefore, we termed them “Outposts”. An Outpost consists of three pieces of equipment and a commitment of partnership and out reach in that particular location. 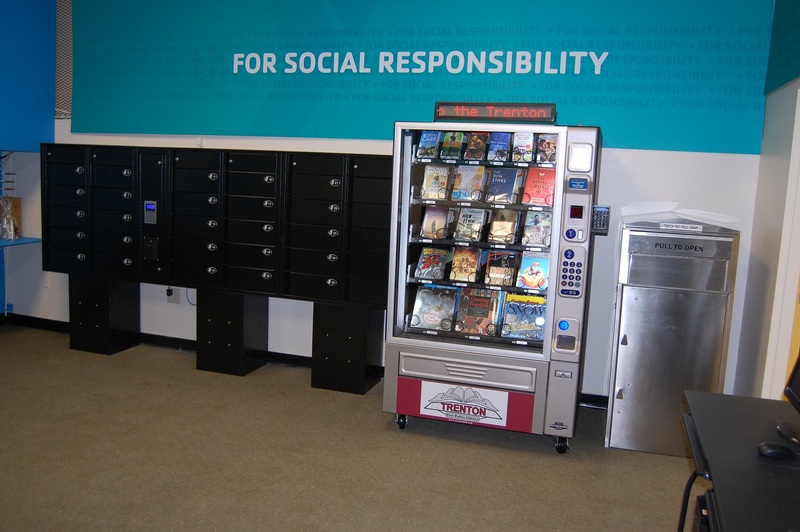 The equipment includes a lending machine (think vending machine but with books instead of potato chips and Snickers bars), a locker system for hold pickup, and a book drop. After the appropriate RFP process, we purchased 2 Outposts from a lovely company called PIK,Inc using CDBG funds graciously given to the project by the City of Trenton. We partnered with respected Community organizations (such as the YMCA) to place the Outposts in high-use facilities within the community to maximize their potential and exposure. These new Outposts, the first 2 of 4, provide our Library Card holders with instant access to between 250-500 books in the lending machine and the ENTIRE collection for pick up at the lockers within 24-48 hours. Along with the book drop, these Outposts provide patrons with the ability to access the Libraries materials in their own neighborhoods! This Outpost is not only the first of its kind in New Jersey but also the FIRST on the entire mid-Atlantic Seaboard. We are very proud!! It is wonderful to see news of efforts supporting the development and enhancement of this fundamental mission in Public Libraries! The Knight Foundation Awards $3Million to Libraries for Innovation!! Winners of the Knight News Challenge on Libraries were announced Friday, awarding projects from across the country that create new and innovative ways to improve city libraries and communities. Launched by the The John S. and James L. Knight Foundation, the challenge will award 22 projects that “leverage libraries as a platform to build more knowledgeable communities.” Eight projects will receive investments of $130,000 to $600,000, and 14 early-stage ideas will receive $35,000 each through the Knight Prototype Fund. This is solid affirmation of the idea that Public Libraries must continue to focus on providing access to information and the tools that allow citizens to become “informed” and able to participate in society and the democratic process! The Community Resource Lab by District of Columbia Public Library (Washington, D.C.): Advancing the library as the primary anchor of an open information system that connects residents to essential health, human and social services. Book a Nook by Harvard University metaLAB (Boston): Activating library public spaces for diverse community uses by testing a software toolkit that streamlines the exploration and reservation of physical library spaces. GITenberg by Project GITenberg (Montclair, N.J., and Somerville, Mass. ): Exploring collaborative cataloging for Project Gutenberg public-domain ebooks using the Web-based repository hosting service GitHub. Journalism Digital News Archive by University of Missouri Libraries and the Donald W. Reynolds Journalism Institute (Columbia, Mo. ): Ensuring access to digital news content through development of a model for archiving and preserving digital content that can be used across the country. Your Next Skill by Seattle Public Library (Seattle): Helping people acquire new skills or expand their knowledge by creating a librarian-led, referral service that connects users with materials, classes and instructors that will help them meet their goals. Space/Time Directory from the New York Public Library: Working with local communities and technologists to turn historical maps and other library collections into an interactive directory for the exploration of New York across time periods. Open Data to Open Knowledge from City of Boston: Turning Boston’s open data collection of everything from building permits to potholes into an accessible resource by working with Boston Public Library to catalog it and make it easier for residents, researchers and public employees to navigate. The Internet Archive: Helping people create and share global collections of cultural treasures on the Internet Archive, one of the world’s largest public libraries. Congratulations to the Knight Foundation and the winning Libraries! The Libraries Transforming Communities vision is not even a vision that ALA created. It appears to be a vision adopted from one of The Harwood Institute’s programs with whom ALA is partnering to transform America’s libraries. What were they thinking? Obviously grasping at straws, but buying magic beans? SERIOUSLY? ALA’s State of America’s Libraries Report 2014 includes a disturbing revelation that has actually been brewing for a couple of years, and is well along the way to indoctrinating new librarians. The Executive Summary espouses a vision of the library’s future, if you follow all the links to the source. The ALA has made transformation a top priority. 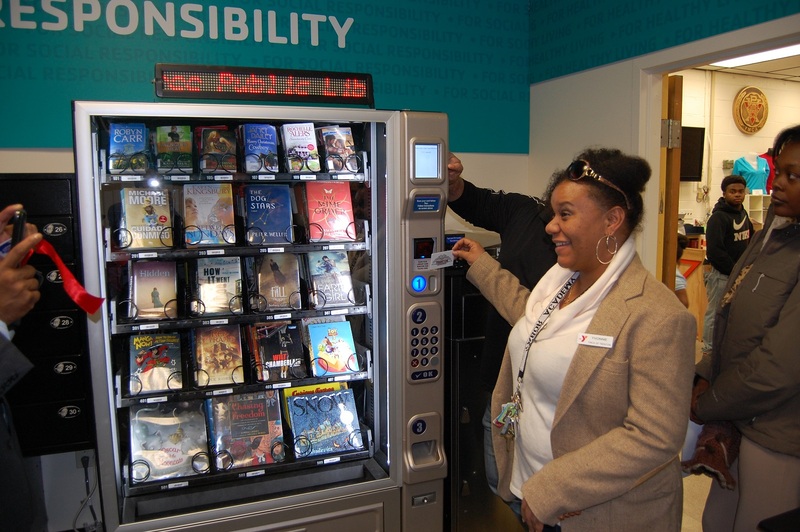 As libraries continue to transform in 2014, they deepen engagement with their communities in many ways, addressing current social, economic, and environmental issues, often through partnerships with governments and other organizations. Moving forward from being providers of books and information, public libraries now respond to a wide range of ongoing and emerging needs. That “transformation” link goes to another article about ALA’s Libraries Transforming Communities (LTC), “groundbreaking libraries-as-change-agents initiative.” Read that again. Libraries-as-change-agents! Through LTC, ALA will help the public library profession become more focused on and skilled at convening aspirational community conversations and more innovative in transforming internal practice to support fulfillment of community aspirations, and ALA will mirror that change internally, in its own processes. This work will help librarians become more reflective of and connected to their communities. It will help libraries to build stronger relationships with local civic agencies, non-profits, funders and corporations. It will yield greater community investment in civility, collaboration, education, health, and well-being. Professor R. David Lankes and Barbara Stripling presented a webinar on March 8, 2012 “designed to stimulate conversation about harnessing the evolving role of libraries and strengthening the librarian’s voice to help shape community perception.” Barbara Stripling was Co-Chair of ALA (now Ex-) President Molly Raphael’s Empowering Voices, Transforming Communities task force, and is now ALA President for 2013-2014. When Professor Lankes published “The Atlas of New Librarianship” in 2011 it was the greatest thing since sliced bread in library circles. Unfortunately, librarians were not reading it closely and really understanding what Lankes advocated. My critique was not so accepting of his advocacy of radical social activism. (Book Review: R. David Lankes – The Atlas of New Librarianship and Final Review: The Atlas of New Librarianship) To repeat my original critique; I was still hoping for something practical and useful in “The Atlas” when I came to the Knowledge section in the Facilitating Thread (which includes access, knowledge, environment, and motivation) where Lankes begins to develop the foundation for an argument in favor of all kinds of literacy. When I read it, I was shocked and appalled at the ideas he was advocating for librarians. For librarians “To be ‘literate in’ means to be able to use something to gain power.” (pg. 75) Excuse me? Did I read that correctly? Unfortunately, YES! Lankes then continued on down a path I could not have imagined, and hopefully, neither could the vast majority of professional librarians. The lengthy quote that follows is essential not to break context and to fully understand the role he advocates for librarians. The role that ALA has adopted and is now advocating through The Harwood Institute. Librarians can impart all the instruction they want on how to search and evaluate sources, but if we don’t also facilitate the knowledge of transforming all of that new knowledge into an effective conversation …, we have created a closed loop with limited benefit to the community in general. So information literacy must include the idea of conversation literacy. Indeed, concepts of new librarianship call for a host of expansions in all sorts of literacy. … Saul Alinsky’s Rules for Radicals, a handbook written by a far left radical during the unrest of the 1960s … is a fascinating read. There are a number of fundamental reasons for rejecting such substitutions [for the use of the word power]. First, by using combinations of words such as “harnessing the energy” instead of the single word “power,” we begin to dilute the meaning; and as we use purifying synonyms, we dissolve the bitterness, the anguish, the hate and love, the agony and the triumph attached to these words, leaving an aseptic imitation of life. Power is not bad or evil. Alinsky would say the evil is when you don’t have power. Without power you don’t make decisions, things are decided for you. Librarians need to be powerful. They need to be able to shape agendas, lead the community, and empower members to do the same. We seek out power not as an end but as a means to make the world a better place. To serve, to truly serve, you need to be powerful so you can steward the community. Lankes admits that he is trying to shape ALA’s vision of the librarians role as social activist. His mission statement for New Librarianship reads; “The Mission of Librarians is to Improve Society….” He actually justifies his “trip through radicalism and political protest” because “it lies at the heart of how we are to interpret the role of literacy in librarianship.” SERIOUSLY? Since when does radicalism or political protest have any place in librarianship? And, he also advocates that librarians “seek out power … to make the world a better place. … to truly serve, you need to be powerful so you can steward the community.” is arguably the most arrogant attitude any profession could conceive. Then couple that power with Lankes’ idea that librarians should be present for ALL knowledge creation within the community and you have what sounds like something that is certainly not librarianship! Turning Outward makes the community and the people the reference point for getting things done. 1)	Engagement – Shifting who you see and include in your work and how you engage with them to create change. 2)	Partners – Helping you gain clarity about the partners you need to move forward – and those that are holding you back. 3)	Priorities – By understanding what space you occupy within the community, you no longer struggle to be all things to all people. Instead, you focus on what you can and should impact. 4)	Strategies — How you develop and implement strategies that reflect the context of your community and people’s shared aspirations – and not to get so entangled in programs and activities. 5)	Communications – Reframing how you talk about your work and impact, so that it is relevant to people and their concerns – and how you can contribute to a more productive community narrative. 6)	Organizational Culture – By Turning Outward you can align and drive internal efforts around shared aspirations and shared language, which makes it easier to work across departments and get things done. Sprinkled throughout their six-point approach to transforming librarianship are innuendos that are contradictory to everything that libraries stand for. Changing who we include in our work so that we can change society? Aren’t libraries supposed to be all-inclusive? And change society into what? Into some librarians idea of what their community should be? Only partner with organizations that can help the library and avoid any that might “hold you back”? And, who might those organizations be that would hold back the library from serving ALL the citizens within their community? We should no longer struggle to be all things to all people? SERIOUSLY? So libraries should only serve some select tax payers, and ignore the interests of ALL its taxpayers? And, by all means let’s STOP getting entangled in programs and activities! What in the name of S.R. Ranganathan has gotten into ALA? Since when has librarianship been about radical activism, or totally focused on “changing society”? Since when has librarianship been about gaining power in the community and deciding what improvement society needs? Since when has librarianship been about exclusivity? If this is where 21st Century librarianship is headed, I want no part of it. I will not be the librarian that ALA’s visions and programs are espousing. I will not impose my personal biases (and don’t think for one second that you don’t have any, because everyone has them) on my community and judge what improvements it needs. Especially not when it is paying my salary to serve it. If ALA has any perception that librarianship is lacking a clear identity, then they are clearly clueless about what it should be. In fact, they are so clueless that they are willing to buy some program from The Harwood Institute and adopt Professor Lankes’ New Librarianship, both approaches that will surely destroy any resemblance of what librarianship is in favor of creating a library workforce intent on changing the world. Change the world to what? At the risk of sounding like I’m bragging, I knew this was coming when I wrote The Revolutionary Library in April of 2011, and again in August with The Physics of Your Library Brand. I just didn’t know where it would break out or exactly when. A library no more . . . Idea Exchange is born. Library rebranding is underway in Cambridge according to the Cambridge Times reporter Bill Jackson in his article last Thursday, February 20. The Cambridge Public Library – Art Gallery • Library • Community Center – in Cambridge, Ontario, Canada was established in 1973 by combining the separate libraries of Galt, Preston and Hespeler with a history over 100 years at that time. In 1992 renovation and expansion of the Library & Gallery in Galt included new space to house a climate controlled art gallery, a studio and greatly enlarged children’s facilities. Additional expansions over the years have created the multipurpose entity that exists today. I’d like to say it’s an evolution,” said chief executive officer Greg Hayton. “About three years ago, we started using the slogan Ideas Unlimited. About that time we also began to take a careful look at the service provided. Hayton said the library board felt the need to expand services and has begun to develop much broader programming for children and adults while making a “huge effort” to integrate art as a central component. “It’s not a separate thing sticking out on the side anymore,” he explained. “It’s central to what we do. “Being stimulated by art is as valid as being stimulated by something you read in a book, coming to a program or hearing a concert we have,” Hayton continued. Mayor Doug Craig thinks it’s appealing. Two articles from August 2011 provide emphasis for the point of changing the LIBRARY image, just by changing the name and redefining the priorities to address community needs as Cambridge has done. A third article emphasizes the importance of detaching the term LIBRARY from the physical building. 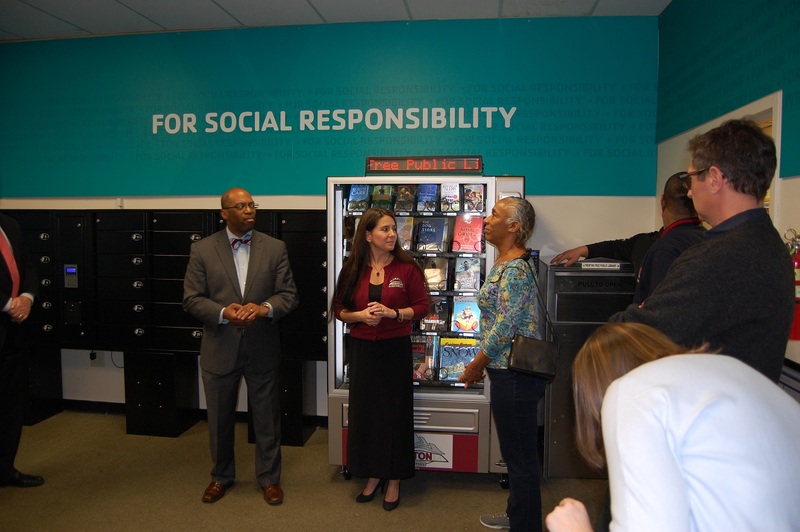 • Don’t call it a library: Stevenson debuts new information center about Chicago area Stevenson High School’s new “Information and Learning Center”. • Now’s time for library with benefits about Carson City, NV efforts to create a new “Knowledge and Discovery Center”. How can the library re-invent itself and change its brand to survive in the 21st Century technology and information marketplace? How can we apply physics to library rebranding in order to move the library’s position in the information and community center marketplace? • Each library must start with its own local library brand marketing campaign – such as “Likenomics” & Library Marketing. • Every access point for customers to interact with a library should be a unique experience – unlike typical LIBRARY experiences – such as Digital Discovery – A New 21st Century Library Skill . • Every library must begin to overcome the stereotypical LIBRARY perception by becoming MORE – such as The 21st Century Library is More: and other suggestions in several Blog posts that followed. • Re-brand your local library on an incremental scale by creating “a portfolio of brands or maybe new brands for new ventures” – such as new logos for library programs that do NOT include the word LIBRARY. • On a regional level, library consortium must conduct marketing campaigns that change the LIBRARY brand to something other than BOOK. • On a national level, library associations must conduct marketing campaigns that change the LIBRARY brand to something other than BOOK. • Re-brand professional publications, logos and events without the word LIBRARY. 2014 is long past time when libraries should have been responding to the change in the Information Age operating environment – if they have any hope of being relevant to their community. Boston Public Library’s Central Branch Children’s Library “will be filled with opportunities for children to read, create, play, explore, and learn together.” This is what will change the perception of “library” for the future generations of users. From library to learning commons “We’re talking about a proposal to put the researching and the writing process together,” [Frederick Community College Writing Center Manager Betsey] Zwing said. The library’s print book collection has shrunk from about 32,000 volumes to about 17,000 since 2002, O’Leary said. Organizing those hard copies in the most efficient way would free up 2,500 square feet that could be used to accommodate help desks, collaborative study rooms, Writing Center tables, SmartBoards and more. Starting from Scratch | Design4Impact While not technically rebranding, redesigning the library’s space for different functionalities is close enough to warrant understanding this trend. Over two years ago I wrote Are You a 21st Century Librarian? and proposed the following six behaviors that would describe a 21st Century librarian. I also wrote that there are definitely more than six characteristics of a 21st Century Librarian and more would follow. Life is what happens while you’re doing something else. 7. Develop New Skill Sets – These are the skills they don’t teach you in library school; team building, collaboration, application of cutting edge technology, conducting training, individual professional development, applications of social media, crowd sourcing, open innovation, and many more. The point is to recognize what skill set is needed now and next year and develop it within yourself – on your own time if necessary. 8. Build A Great Team – In the 21st Century Library everything is done through collaboration, strategic partnerships and team work. Having the skills to bring people together through a shared vision and clear advantage in a joint venture is crucial to being successful in the 21st Century environment. 9. Think Strategically – Lauren Smedley, who is in the process of creating what might just be the first maker-space within a U.S. public library [as of 2011]. The Fayetteville [NY] Free Library where Smedley works is building a Fab Lab — short for fabrication laboratory — that will provide free public access to machines and software for manufacturing and making things. Smedley says she plans on adding other equipment as well, including a CNC Router and a laser cutter. Smedley helped her library win a $10,000 innovation grant at the recent Contact Summit in New York and is also raising money via an Indiegogo campaign. She’s reaching out to local science teachers, as well as encouraging those already active in area hackerspaces and makerspaces to get involved. 10. Are Creative – “You can be a genius, but if you don’t have the creativity to put that knowledge to use, then you just have a bunch of knowledge and nothing else. I mean, like, then you’re just as good as my smartphone.” [Jack Andraka, age 15, Intel International Science Fair Grand Prize Winner] The point is librarians MUST be open to new ideas, new perspectives, new approaches to old challenges in our libraries. Librarians have been pounding away at “librarianship” during the first decade of the 21st Century in the same way it has been done for centuries. The reason the old way does not work is because the environment, conditions and library user’s expectations of libraries have all changed drastically. Without a new perspective of librarianship and the ability to create and implement new ideas to address new challenges, as well as old challenges, libraries will never reach their 21st Century capabilities. 12. Make Your Library Relevant to Your Community – This is the ONLY thing that truly matters in the end analysis. You can have all the bells and whistles, all the latest technology, the best customer service in the world, but if the products and services your library is offering to your community do not “connect” with what the community wants – you will still not be relevant. PERIOD! End of story! End of library? Please contribute to this list with ideas and experience of your own. Millennial Library Users Need … What? Last August I found the MTV study – Young Millennials Will Keep Calm & Carry On – that surveyed Millennials in greater detail than ever before. MTV set out to understand the younger end of the Millennial demo, 13-17 year olds, who will soon move into the “sweet spot” of MTV’s core target demographic of 18-24 year olds. This is a landmark generational study that builds on MTV’s long legacy of deeply understanding our audience, as part of an effort to constantly reinvent ourselves and stay at the bleeding edge of youth culture. 2. The Hunger Game’s trailblazing survivalist Katniss Everdeen (the younger end of the generation, peeking into Gen Z). This second wave of Millennials, today’s tweens & teens, have known a very different youth. They came of age in an economic downturn, seeing college grads struggling with huge student loan debt and living through a cascade of social media-amplified tragedies like Hurricane Sandy and Sandy Hook. For them, life has always been a 24/7 social media show. I used MTV’s assessment to make the point that libraries who ignore their younger users do so at their own peril. As libraries try to figure out how to become relevant to their community, it is critical to understand the patrons/customers/ members/users who are growing up to be the ones who either support your library and become engaged with it, or ignore it as having nothing to offer them. When young people dislike something, it’s nearly impossible for parents to convince them that it is “good for them,” which means the parents may no longer support the library either because it can’t meet their family’s needs. You won’t find any clothes with Abercrombie & Fitch or American Eagle logos in Morgan Klein or Stephanie Friedman’s closet anymore. The twentysomethings prefer the fast fashion route these days – looking for trendy, less expensive clothes at retailers such as Bebe, H&M, and Forever 21. “I feel Abercrombie is more preppy, and that’s not what I wear anymore,” said Klein, who worked at Abercrombie in her teens. Wall Street is taking notice of teenagers and young adults shying away from brands that used to be a wardrobe staple. The so-called big “A” retailers, Abercrombie, Aéropostale and American Eagle, are slipping out of favor. These stocks are all down by double-digit percentages in the past six months, while the S&P 500 has risen 11.5 percent. H&M, which is part of a growing number of fast-fashion retailers, is adept at getting trends from the catwalk to the sales floor quickly, and at much cheaper prices. It’s a practice traditional chain stores find challenging to adopt, as they place their orders much earlier than fast-fashion stores. For example, many traditional retailers place their holiday orders in April and May, while fast-fashion retailers’ model allows them to order closer to the season. This retail fashion report tells me two things. First, Millennials are going their own direction away from the “name brand” clothing purchasing trend of the past couple of decades. Retailers used to be able to hang their hat on the fact that young people were unalterably attracted to wearing THE name brand clothing items from head to toe. It made the retail fashion industry rich. Maybe not so much in the future. Second, the “fast-fashion retailers’ model” has become the new game in town. In recent years in business operations we have seen the “just in time” production-to-market model become the norm. Being able to quickly respond to changing consumer habits has enabled some business to thrive, while those unable to respond wither. A company’s survival depends on its ability to change rapidly in response to its customers’ demands. The 21st Century Library should be no less customer driven, and no less responsive to their customers’ needs and wants. Being in touch with library users’ interests and habits is more essential to a library’s relevance to its community than ever before. Understanding the business of the library is paramount to understanding the library’s users and being able to provide them what they want from their library. Without the agility to adapt, libraries will suffer the same decline in business as retail business, because libraries are in the retail business – direct customer service.